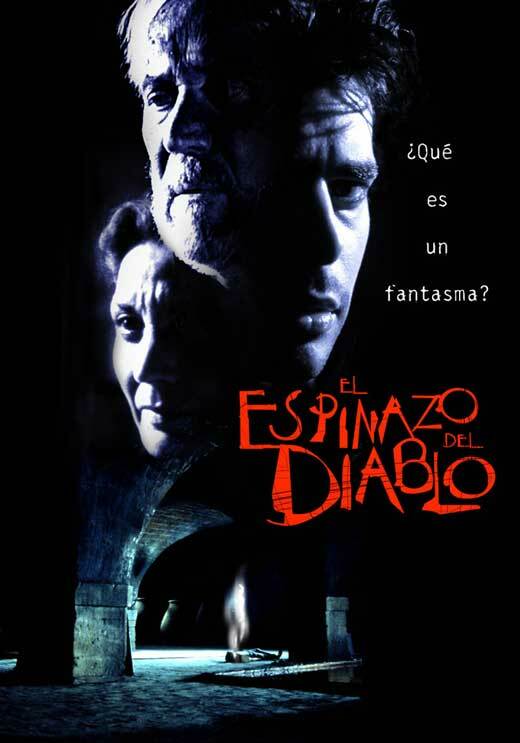 Five years before Pan’s Labyrinth, Guillermo del Toro directed The Devil’s Backbone, a strikingly similar film. Both center on young, orphaned protagonists living in the midst of a period of war. These characters – Carlos in The Devil’s Backbone, Ofelia in Pan’s Labyrinth – navigate an array of emotions as they witness great violence and encounter the supernatural or fantasy realms. In The Devil’s Backbone, the young protagonist Carlos immediately sees a ghost of a young boy after he arrives at an orphanage. The film is set during the end of the Spanish Civil War as violence is escalating. The orphanage’s ghost began appearing after a bomb landed in the courtyard, the same night an orphan named Santi disappeared. Only Carlos is able to communicate with the ghost, who after several frightening encounters tells Carlos what he wants. While Carlos and the other orphans are not openly aware of the grave danger surrounding them, the orphanage’s doctor and administrator – Dr. Casares (Frederico Luppi) and Carmen (Marisa Paredes) – recognize that they must move the children to safety. As this is happening, Jacinto (Eduardo Noriega), a former orphan, is plotting to steal gold from the orphanage. Jacinto’s greed and past actions lead to the movie’s bloody and violent finale. The violence experienced by the characters in The Devil’s Backbone serves as a metaphor for the violence experienced in Spain at this time. We only see glimpses of the actual war taking place outside of the orphanage. What del Toro presents in both The Devil’s Backbone and Pan’s Labyrinth is a world where a child’s innocence is quickly corrupted by the actions of adults. These children must make adult decisions in order to survive. Guillermo del Toro has a knack for combining haunting supernatural elements with the equally haunting realities of war. This gives The Devil’s Backbone and Pan’s Labyrinth, despite the fantasy worlds they create, a feeling of sincerity and a feeling these are the most realistic horror/fantasy films conceivable.